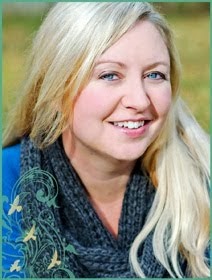 Kristin Creative: Contest Winners!! And February Recap. Last week, on February 23, I announced my Birthday Contest! I was pleased with the number of entries, and the sentences! Such gifted writers y'all are! But about this age guessing business... I was tempted to deduct entry points from everyone who guessed 30 and above!! GASP! 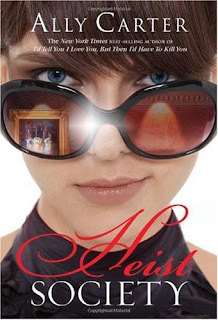 The main prize was a signed copy of Heist Society by Ally Carter! Sarah Ahiers of Falen Formulates Fiction!!!! Please e-mail me at kristinrae023 at gmail dot com with the address you'd like it shipped to! The side contest was for a $10 Amazon Gift Card! Did this month just FLY by, or is it just me? I mean, sure, it's a shorter month than most, but wow. As of today, I'm on chapter 17 which is right around halfway done! Hopefully in my March Recap, I can say I've begun querying!! But we'll see! Apparently, my pace is 5 books a month, because January was also 5. March may be a bit less because I'm about to tackle Beautiful Creatures (FINALLY) and that baby is 563 pages!! February also held my BIRTHDAY, which was fantastic! I celebrated for an entire week (my husband would say longer), and I was given some very thoughtful gifts that I'm very thankful for! Love them ALL! AND it SNOWED on my birthday for the first time ever!! It's always rained! First time for snow!! And by the weekend I was wearing bermuda shorts and flip flops, getting sun burned on the back deck while reading a book. Yes... yes I did. I hope everyone else had a fabulous February!! Oh my gosh I am ecstatic!!! Hooray!!! I can't wait to spend it! What book to choose, what book to choose!!! So many to decide on!! Thank's Kristin this is awesome!! What a great way to kick start the week! Yay for the snow! It was beautiful I was glad I got to see it! My friend a little closer into town didn't get to! Dang! I never win... this is me whining..... Okay, I'm over it. LOL! Congrats to the winners and I can't wait to hear what you think of Beautiful Creatures! YAY! Woo-hoo! Congrats to the winners! Thanks for hosting this great contest :) And I hope you had a very happy birthday. I thought you looked young, but wow, that's really young! Happy birthday, and congrats to the winners! Yay for a great birthday contest!! It was great! Congrats to the winners!! Kristin--I'm glad you had a great birthday. Have a super productive March! It's not just you February was a blur! Congrats to the winners. Congrats, winners!! Hey Kristin, I think I guessed your age right! Glad to hear you had a fab birthday...erm, week. That's how it's done! February birthdays are awesome, BTW. I know this because mine was a few weeks ago. I wish i had turned 27 instead of 29, but eh. I hope March goes just as fast as February because i need all this snow to go away asap. That is so very young. No fair! But happy b-day and contest day anyway! I'll have to check out the Dark Divine five out five and a great title. Thanks!